New York, NY – Entrepreneur, Michael Dorf, has announced that the music of Aretha Franklin will be celebrated with a special benefit concert at Carnegie Hall on March 6th, 2017. Franklin is an 18-time GRAMMY Winner, and Rock and Roll Hall Of Fame inductee, who was named the number one singer of all-time by Rolling Stone magazine. The initial lineup for the all-star concert includes house band Antibalas; Melissa Etheridge, whose latest release, MEmphis Rock and Soul, has her covering a dozen classics from the Stax Records vault; International blues sensation, Taj Mahal; Kenny Loggins; Heart songstress, Ann Wilson; multi-instrumentalist and producer, Todd Rundgren; Sarah Dash; Glen Hansard; Rhiannon Giddens, whose genre-bending artistry includes folk, blues, soul, country and Celtic; multiple BMA award winner, Bettye LaVette; “blue-eyed soul” singer, Allen Stone; and rock band, Living Colour; with many more artists to be revealed soon. Aretha Franklin was born in Memphis, Tennessee on March 25th, 1942. The daughter of famed preacher and civil rights activist, C.L. Franklin, young Aretha began singing in her father’s church. Rev. Franklin also acted as his daughter’s manager, taking her on the road as part of his “Gospel Caravan,” and helping acquire her first recording contract. 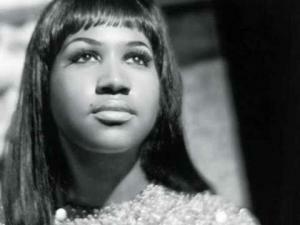 At the age of 18, Aretha convinced her father to allow her to sing secular music. Her first single, “Today I Sing the Blues,” reached the R&B Top Ten. Since that time, she has recorded over 100 hits, including her famous cover of Otis Redding’s “Respect,” as well as, “Chain of Fools,” “Think,” and “(You Make Me Feel Like A) Natural Woman.” She was dubbed, The Queen of Soul, by the end of the 1960s, she has recorded 112 charting singles, including 20 that went to #1 on the R&B charts, making her the most charted female artist in history. The Music of Aretha Franklin event will be Dorf’s 14th annual tribute concert held at Carnegie Hall, with 100% of the net proceeds given to music education organizations for underprivileged youth. He has announced that over 1.3 million net dollars has been raised by the series to date. The annual fundraiser has remained focused on important education programs provided by organizations such as Young Audiences New York, Little Kids Rock, Church Street School of Music, The Center For Arts Education, TON, Grammy in the Schools and the D’Addario Foundation. Dorf’s must-see, sold-out, Carnegie shows have previously honored the music of Bill Withers, David Byrne, Paul Simon, Prince, Joni Mitchell, Bob Dylan, Bruce Springsteen, Elton John, R.E.M., Neil Young, The Rolling Stones and others. Last year’s David Bowie celebration, by an unfortunate coincidence, transformed into a memorial.